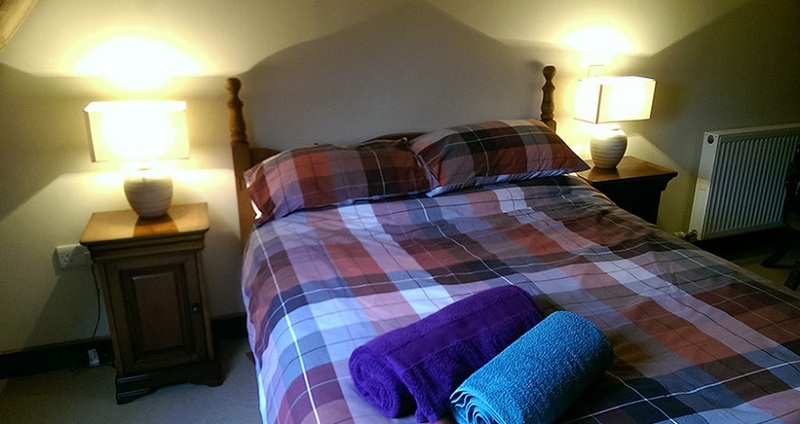 Queens Highway, Camps Heath, Oulton, NR32 5DW. 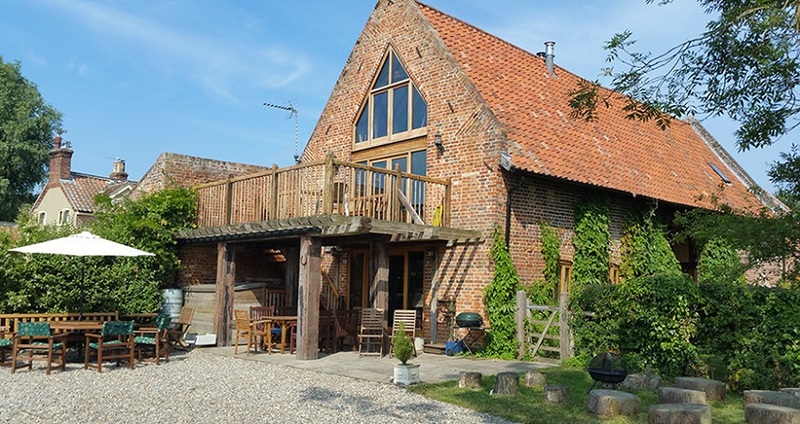 Camps Heath Barn provides pet friendly self catering accommodation in Oulton, Lowestoft. 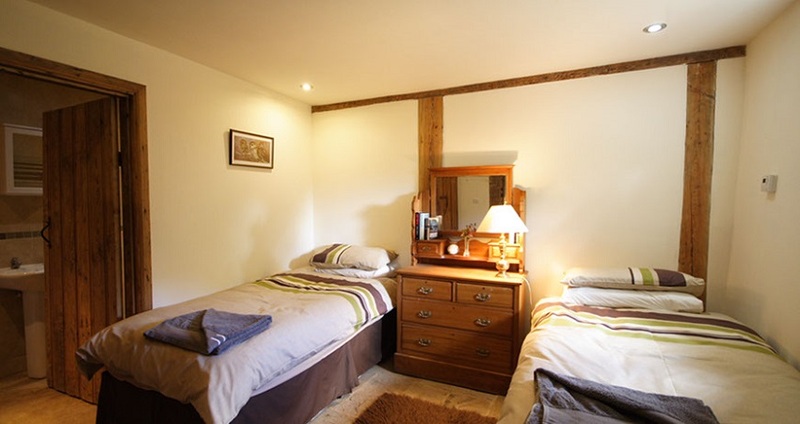 Camps Heath Barn has been tastefully converted and is split into four self contained units. 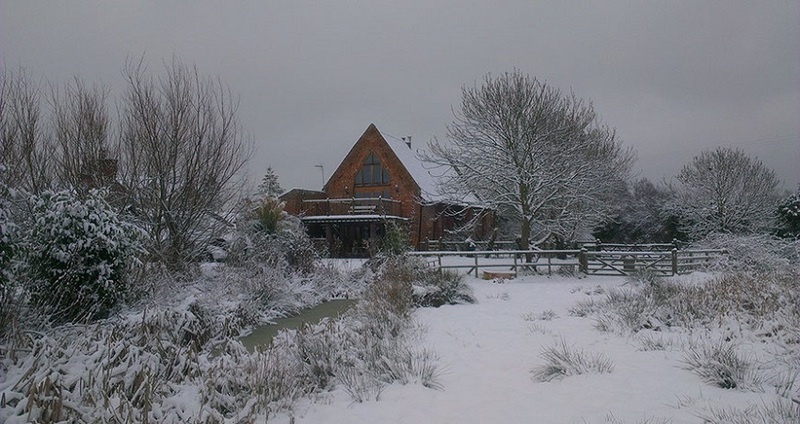 Kingfisher Annex, The Dairy Annex, Marsh Cottage Annex and the Main Barn. 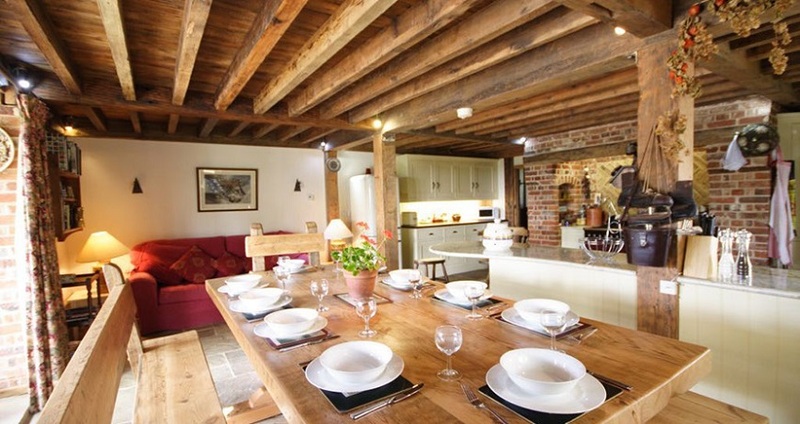 The Main Barn has a large galleried entrance hall with seating areas and adjoining cloakroom. 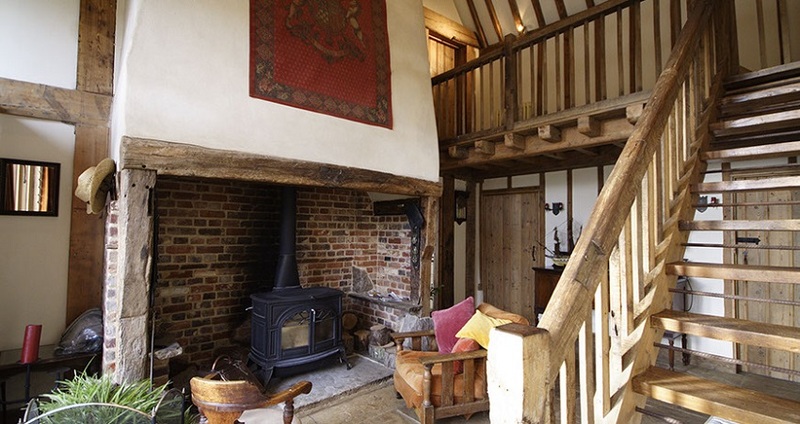 The entrance hall has a large wood burner making it a cosy place to sit in the winter months, but has doors opening onto the front garden making it cool and airy in the summer months. 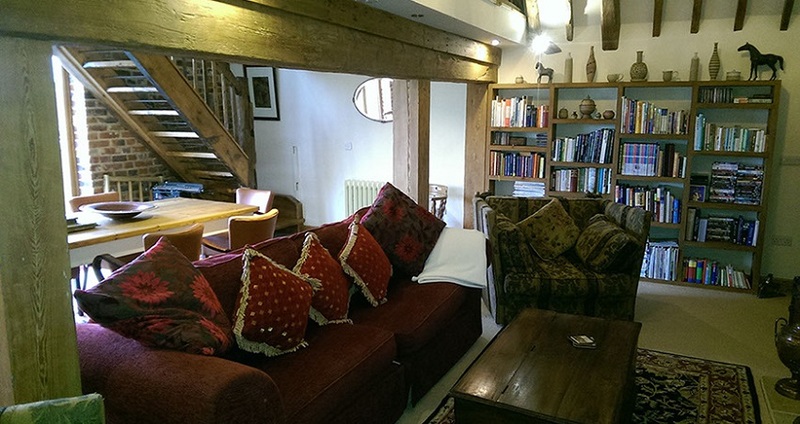 There is a piano on the upstairs landing leading to the lounge areas. 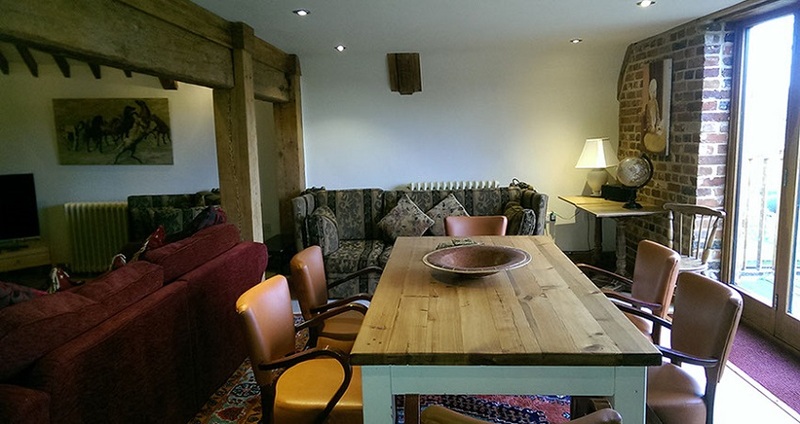 The ground floor has a spacious farmhouse kitchen with a dining area seating 12 and sofas to relax. 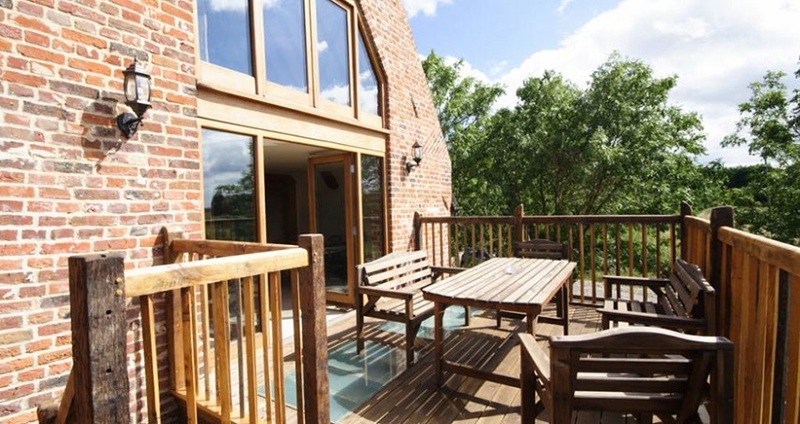 The patio doors from the kitchen lead to an outside terrace with covered seating area and views over the marshes. 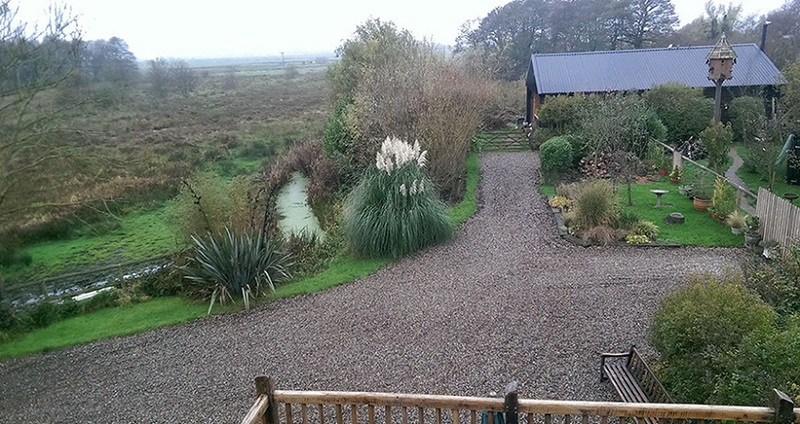 The first and second floor lounge areas have panoramic views over Oulton marshes and beyond. These are west facing, with the lower lounge having a dining area and outside balcony offering the chance of viewing spectacular sunsets. 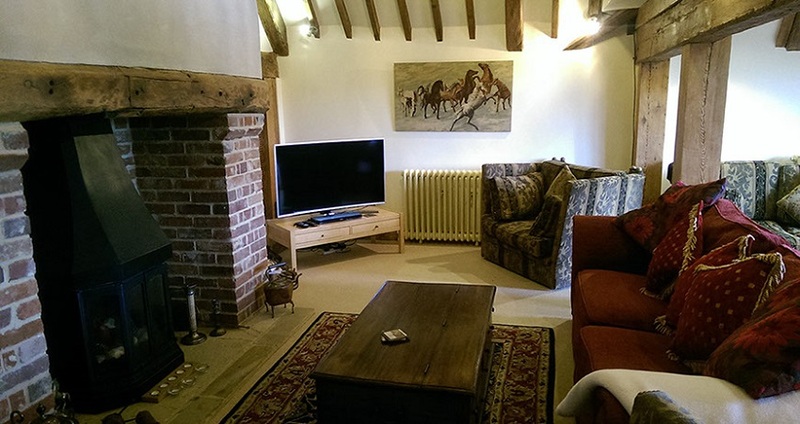 The main lounge has large TV, Blu-ray DVD player and iPod/android audio docking station. 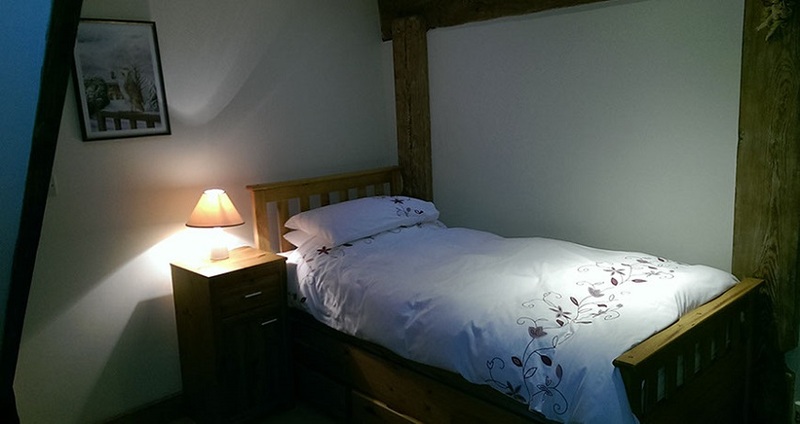 The Main Barn sleeps 12 in total and details of the bedroom layout can be found on our website. 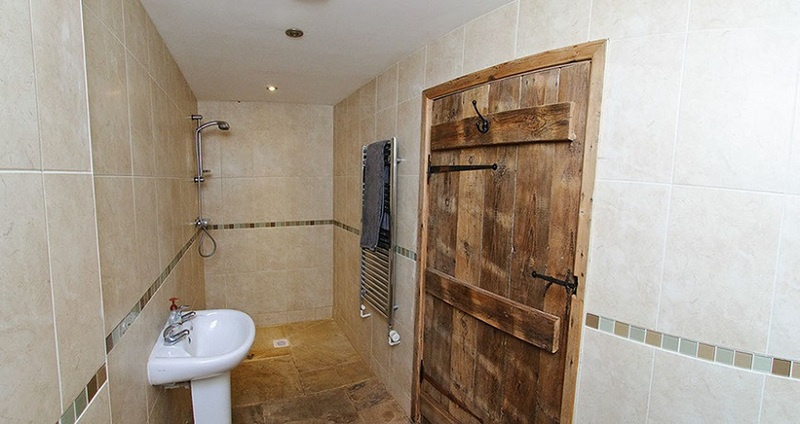 In addition to the Main Barn are the smaller annexes suitable for between two and four people each. 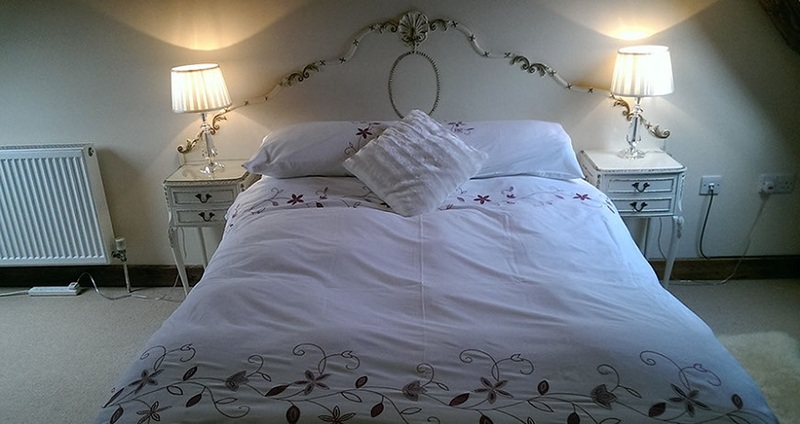 Each annex is fully self contained with it's own entrance and they each have their own lounge and kitchen space along with shower rooms and large bed rooms with comfy beds. 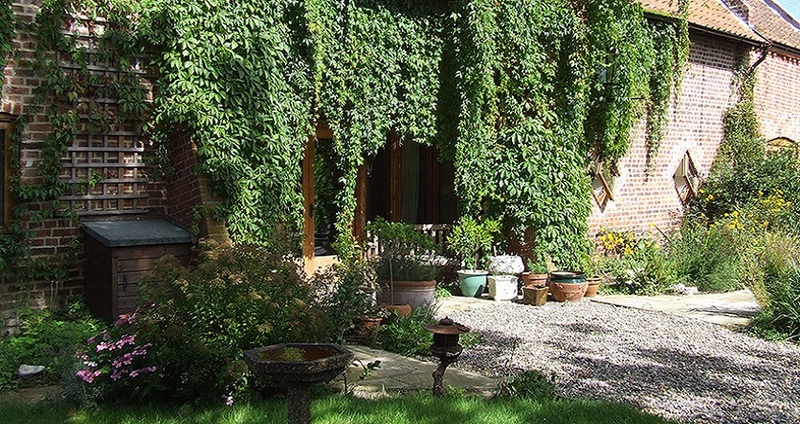 The Main Barn and Annexes can be booked together or separately depending on the number of people staying. 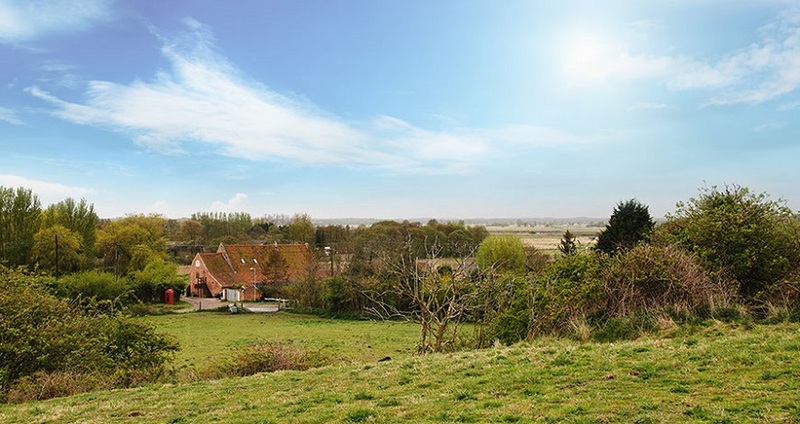 Camps Heath Barn is situated in Camps Heath overlooking the Suffolk Wildlife Trust 'Oulton' nature reserve and the Broads National Park. 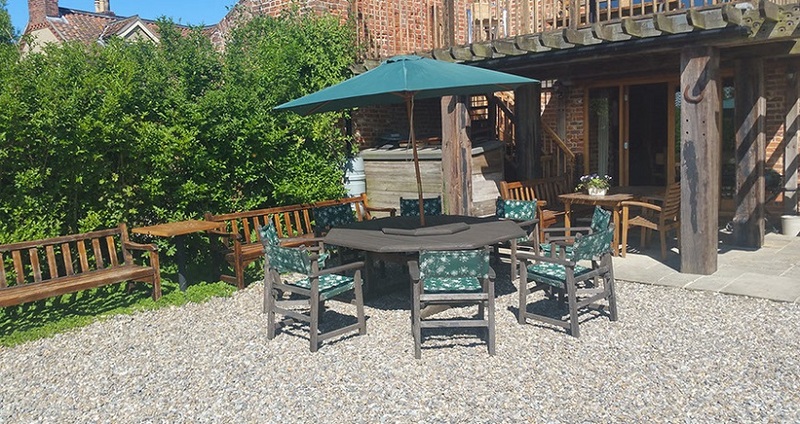 The Barn is a short drive, or walk, from Oulton Broad which is the gateway to the Southern Broads. 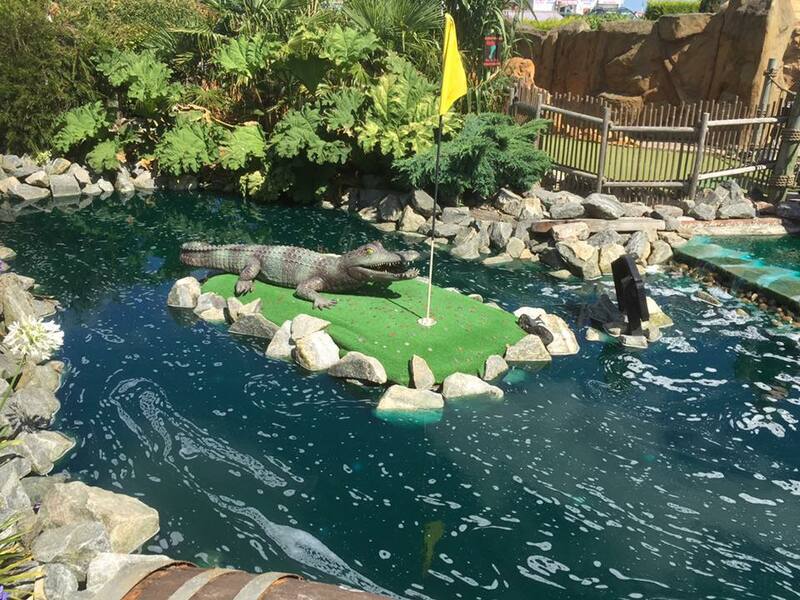 In Oulton Broad there are cafe's and restaurants, and a well maintained park with children's play area, tennis court and boating lake. 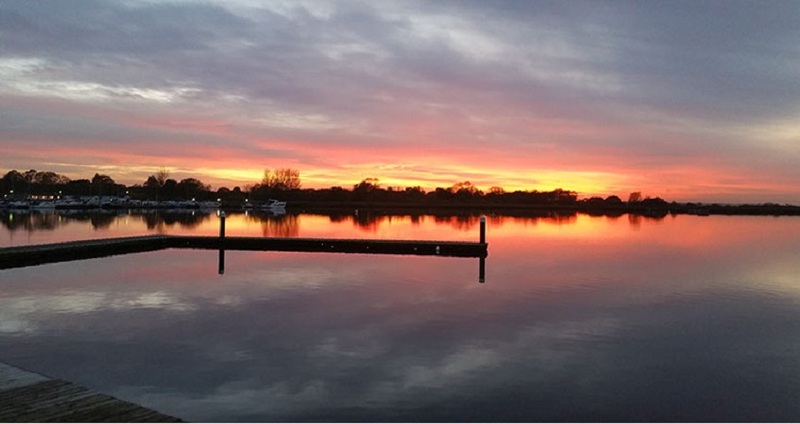 Oulton Broad also has access to river trips and day boat hire. 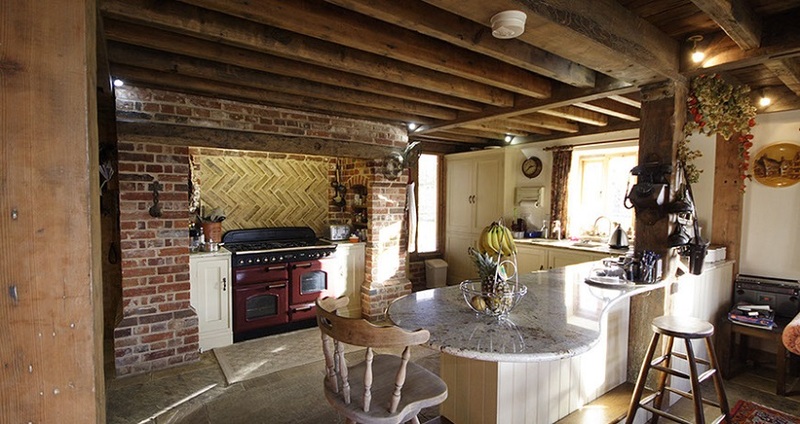 The Suffolk coast and beaches are only a ten minute drive away. Lowestoft South beach has clean and golden sands and is the most easterly point in England. 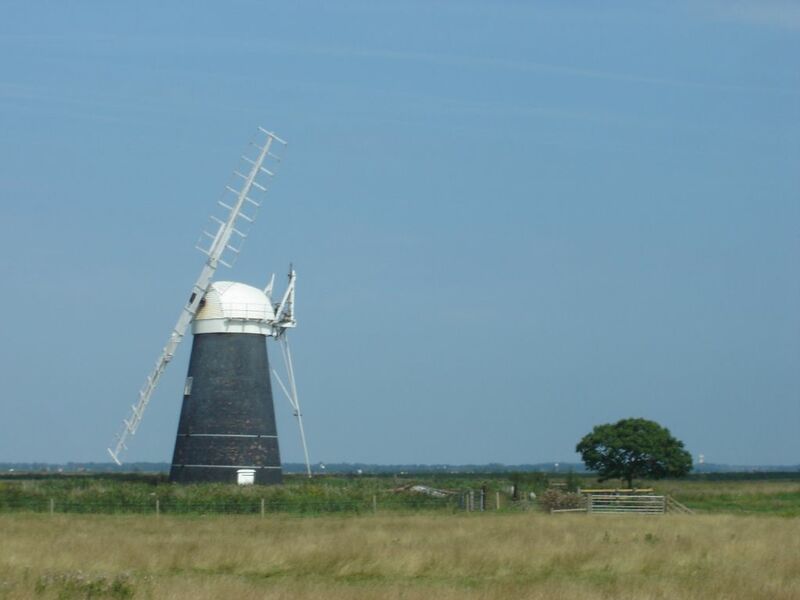 Pakefield beach is a natural beach with beach huts and sand dunes and dogs are also allowed. Further along the coast is Southwold and Aldeburgh.